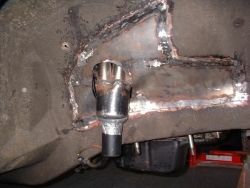 My car had previously been fitted with the common tubular exhaust manifolds routed between the engine and the chassis. 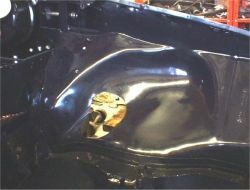 These were positioned very close to the wheelarch and blistered the paintwork. I designed some new manifolds that wouldn't fit in the existing wheelarch package so decided to modify the wheelarch to provide much more than the standard clearance. I fitted the front suspension with the road wheel attached to find out where space was required in the wheel house to allow full wheel travel. 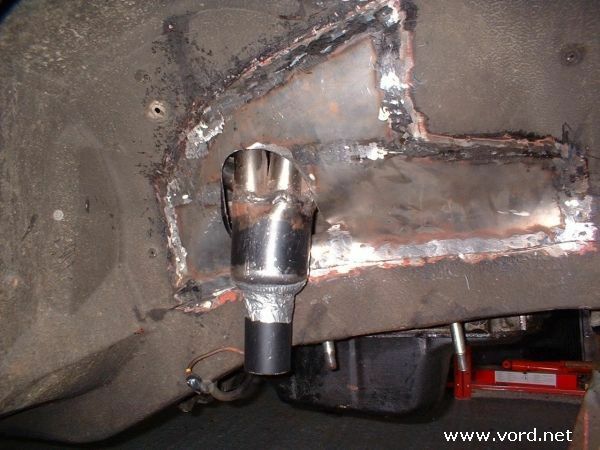 I found that it was possible to extend the bowl in the wheelarch rearwards of the exhaust manifold without interfering with wheel travel. I used cardboard to template the new pieces of metal before I cut anything out. Cardboard is useful as, like steel, it is difficult to bend into compound curves. Reassured that I would be able to make the new pieces of metalwork I cut the old wheelarch out and welded in the new metal. 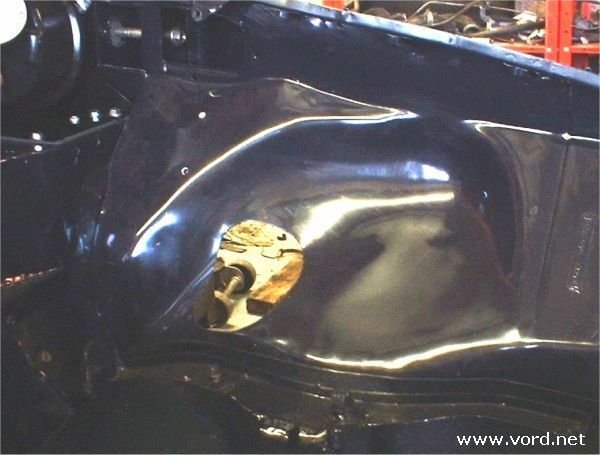 The minimum clearance between the exhaust manifold and the wheelarch is now about 25mm apart from the hole where the manifold passes through the wheelarch where I have only allowed about 15mm.